Challenging many common perceptions, this is the first book fully dedicated to understanding a major new phenomenon—the large numbers of skilled urban workers who are now coming across the border from Mexico's cities. 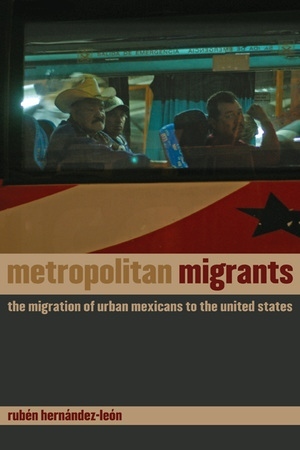 Based on a ten-year, on-the-ground study of one working-class neighborhood in Monterrey, Mexico's industrial powerhouse and third-largest city, Metropolitan Migrants explores the ways in which Mexico's economic restructuring and the industrial modernization of the past three decades have pushed a new flow of migrants toward cities such as Houston, Texas, the global capital of the oil industry. Weaving together rich details of everyday life with a lucid analysis of Mexico's political economy, Rubén Hernández-León deftly traces the effects of restructuring on the lives of the working class, from the national level to the kitchen table. Rubén Hernández-León is Assistant Professor of Sociology at the University of California, Los Angeles.